THE SITUATION HAS NOT GOTTEN BETTER - IT IS WORSE! WE MUST NOT FORGET - WE MUST NOT IGNORE - WE MUST NOT REPEAT! Each of us tries to contribute to the betterment of the world in their own way. MEMO FROM THE PAST--- A CALL TO ACTION! NOW IS THE TIME TO BE HEARD! The Olympics are past changing venue - to be held in Tokyo and Fukushima. My friends have resumed visiting Japan. On this day various media listed the most important events of the week. Fukushima and its devastation were not mentioned by newspaper or television. This world event is now history - and it has not even been cleaned up. In perhaps ten years they will take a look back at cancer rates and see if they were impacted - certainly I have known a great number of friends who have suddenly succumbed to that nasty disease. And it is a proven fact that the nuclear material from the Fukushima meltdown was spread far and wide across the world. It will remain with us for millions of years. But the interest level has dropped to almost zero. I have written about this problem and the writings remain for those who wish to be enlightened. I donate whatever money comes in to charity. I have stopped swimming because water is such a great hider of radioactivity and will no longer eat fish or other sea life. I wish all my readers good health and hope for the future. REQUEST: Acknowledge there is a world problem and take over the cleanup and containment of the Fukushima, Japan, nuclear catastrophe in order for it to be done properly and timely... without further radioactive materials dumped into the oceans and world. This nuclear catastrophe in Fukushima, Japan, is seven years old and continues to dump hundreds of tons of radioactively contaminated water in the Pacific ocean on a daily basis. There is a great die off of plant and animal life in the Pacific Ocean unlike anything ever seen in our lifetimes. It does not just affect Japan - it affects the world! One nuclear scientist has come forth with the statement that if this continues on unchanged for the next twenty years it could become an extinction event with very little life left on the earth. The United Nations can call for scientists and engineers from all countries to submit proposals for containment and cleanup. The necessary technology does not exist at this time according to the Japanese. But the world is full of brilliant minds. The UN also has the ability to assess the members for money to support this endeavor and the staff to coordinate it. A balanced panel of pro-nuclear and anti-nuclear scientists/engineers must be selected to sort through prospective solutions One of the stated objectives of the UN is protecting the environment. We as a people can either do nothing and hope for the best, or we can take action and demand this problem be taken over by a world entity to be solved as it should be for the betterment of the planet and its inhabitants. Barbara Billig's technothriller novels are designed to be informative, timely, and entertaining. 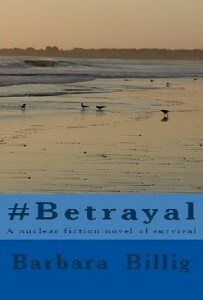 First came "The Nuclear Catastrophe", then the aftermath created "#Betrayal. Finally ISIS has entered America and charted a terror plot far surpassing the New York City events of 9/11 - "Nuclear Road Trip - Onward to Destruction"
Set in Southern California, this novel tells the story of people living in the vicinity of a nuclear power plant who are affected by a nuclear disaster brought on by an earthquake. What choices would you make? All have consequences. Set in Southern California and Japan this is a story of how the lives of people are affected years after the Fukushima nuclear tragedy. The aftermath may be worse than the accident. Lies, greed, murder, and power struggles intertwine. And then - terrorism in America comes to Chicago! "NUCLEAR ROAD TRIP- Onward to Destruction"
ISIS has selected a city. They plan to far exceed the events of New York City on 9/11. This novel tells the story of how 8 million people in the Chicago area are caught in the drama of terrorism involving nuclear waste stored at a nuclear power plant. 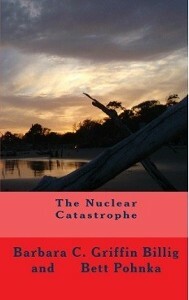 "The Nuclear Catastrophe" and "#Betrayal" and "Nuclear Road Trip" are technothriller novels based on truth. Fukushima was one of the most important events of the 21st century to affect the world. These novels were written to bring about greater awareness of the truth - and perhaps to make science a little more fun. Happy Reading! Hope you Enjoy! Immerse yourself in thrilling survival and nuclear fiction novels from Barbara Billig. These are novels that the pro-nuclear activists do not want you to read. Learn what others have said about this exciting literature through readers’ testimonials. 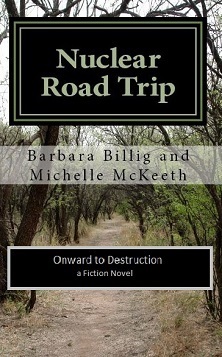 Barbara writes about the nuclear problem through fictional stories that entertain and educate. March 11, 2015, marked the 4th anniversary of the Fukushima nuclear disaster in Japan, probably one of the most important events of the 21st century. Enjoy a page turner with fiction novels by Barbara Billig. Barbara wrote these nuclear fiction stories of survival, so that people could relate to what is happening easily rather than as a technical book. These were originally written because Barbara saw a potential problem with nuclear reactors. When a problem actually arose in Fukushima, she realized that the exact same type of reactor is in San Onofre, near her home. Barbara was inspired by Michael Crichton’s writings, such as Jurassic Park, where he used a foundation of science for a fictional tale. 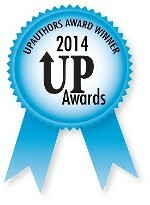 "#Betrayal" won an award in the category of 'Best First Chapter' from UP Authors. Hi Everyone: Michelle McKeeth has coauthored a new nuclear novel with me. Thanks to all of you who voted in the naming contest. This novel is about a diverse group of characters caught up in a drama of Nuclear Terrorism; it is set in the Midwestern United States, near Chicago. Our book begins with the coverup of a dangerous leak at a nuclear site. John, Tressa, Aadhil, Travis, and Valeria, are drafted as the nuclear inspection team. They are then ordered to take two weeks for a vacation enroute to the Nuclear Power Plant in question to minimize the importance of the accident. Little did they know that danger was being churned out with every rotation of their wheels as they enjoyed themselves on their leisurely road trip. And ISIS is sure they can create a disaster far larger than 9/11. The United States would be perfect as their new country. For more information about Michelle McKeeth, please click on the "about" tab above. Follow Barbara Billig to learn more about her stellar fiction novels. To learn more about the fiction novels from Barbara Billig, like her on Facebook and follow her on Twitter. Barbara's are catogorized as thriller, suspense, crime, prepper, environment, nuclear, catastrophe, betrayal, and conspiracy novels.